References XAP_Dialog_Image::a_Cancel, XAP_Dialog_Image::a_OK, UT_Win32LocaleString::appendLocale(), BUFSIZE, UT_Win32LocaleString::c_str(), UT_Win32LocaleString::fromASCII(), XAP_Win32DialogBase::getControlText(), XAP_Win32DialogBase::getDlgItemText(), XAP_Dialog_Image::getHeightString(), XAP_Dialog_Image::getPreferedUnits(), XAP_Dialog_Image::getWidthString(), XAP_Win32DialogBase::isChecked(), POSITION_TO_COLUMN, POSITION_TO_PAGE, POSITION_TO_PARAGRAPH, XAP_Dialog_Image::setAnswer(), XAP_Win32DialogBase::setControlText(), XAP_Dialog_Image::setDescription(), XAP_Dialog_Image::setHeight(), XAP_Dialog_Image::setPositionTo(), XAP_Dialog_Image::setPreserveAspect(), XAP_Dialog_Image::setTightWrap(), XAP_Dialog_Image::setTitle(), XAP_Dialog_Image::setWidth(), XAP_Dialog_Image::setWrapping(), UT_DEBUGMSG, UT_dimensionName(), UT_UTF8String::utf8_str(), UT_Win32LocaleString::utf8_str(), WRAP_INLINE, WRAP_NONE, WRAP_TEXTBOTH, WRAP_TEXTLEFT, WRAP_TEXTRIGHT, and wrappingChanged(). References XAP_Dialog_Image::getHeightString(), XAP_Dialog_Image::getWidthString(), XAP_Dialog_Image::incrementHeight(), XAP_Dialog_Image::incrementWidth(), and XAP_Win32DialogBase::setControlText(). References _DS, _DSX, XAP_Win32DialogBase::checkButton(), XAP_Dialog_Image::getDescription(), XAP_Dialog_Image::getHeightString(), XAP_Dialog_Image::getPositionTo(), XAP_Dialog_Image::getPreserveAspect(), XAP_App::getStringSet(), XAP_Dialog_Image::getTitle(), XAP_StringSet::getValue(), XAP_Dialog_Image::getWidthString(), XAP_Dialog_Image::getWrapping(), XAP_Dialog_Image::isTightWrap(), XAP_Dialog::m_pApp, POSITION_TO_COLUMN, POSITION_TO_PAGE, POSITION_TO_PARAGRAPH, XAP_Win32DialogBase::setControlText(), XAP_Win32DialogBase::setDialogTitle(), WRAP_INLINE, WRAP_NONE, WRAP_TEXTBOTH, WRAP_TEXTLEFT, WRAP_TEXTRIGHT, and wrappingChanged(). 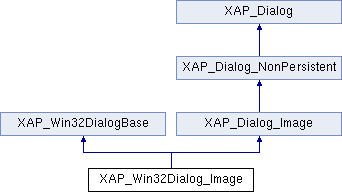 References XAP_Win32DialogBase::createModal(), XAP_Dialog::m_id, XAP_Win32DialogBase::setDialog(), UT_ASSERT, and XAP_DIALOG_ID_IMAGE.